Fon Wireless Limited (hereinafter, “Fon” “us”), is a company registered in the UK with company number 5661131 located at 25 Farringdon Street, London, EC4A 4AB, United Kingdom. Fon is a Network linking user-provided wireless hotspots. By joining the Network, you gain access to Fon Spots across this global Network with a single registration. The TOU regulates the provision of services from Fon to the Fon Members and Fon Visitors, “You” or “you”. The content, products, and services contained in the Fon Website are not designed or directed to persons resident in jurisdictions where such contents are not authorised or permitted. You acknowledge that you have not relied on any other representations not specifically included in this Agreement. You represent that you are of legal age and have the legal capacity to enter into this Agreement. If you are contracting on behalf of a company, you represent that you are authorised to enter into this Agreement and agree to be personally liable for all accounts if you are not so authorised. Who can access the Fon Spot? Fon Members shall have free access to any Fon Spot. Fon Visitors need to purchase a Fon Pass or may be granted with limited or unlimited access in virtue of a Fon promotion or specific agreement between Fon and a Third Party. The Fon member or Fon Visitor shall, prior to access, have registered through Fon or through a Fon Partner to be allowed access to a Fon Spot. The Fon Member shall ensure that its agreement with its broadband service ISP allows sharing of bandwidth. The Fon Member is the solely responsible for compliance with your contractual obligations towards such ISP. Our registration process will ask you for information including your name and other personal information. You must provide accurate and complete information in response to our questions. You must also keep the information that you provide up-to-date. You must register with the Fon Network using the web form on our Site and Portal, providing full and correct information. You will have the opportunity to choose a unique username, and you must remember this username or else store it in a safe place. You must keep your password secret and not divulge it or share it with others. You have the obligation to immediately inform Fon as to any knowledge that you have regarding the improper use of the identifiers and/or passwords, including theft, loss, or unauthorised access, so as to immediately cancel the password/identifier. As long as Fon has not been informed of such, Fon shall be exempt of any liability derived from the improper use of the identifiers or passwords by unauthorised third parties. You shall communicate to Fon any modifications of the information contained in your registration form as well as any subsequent modification of such information. The Fon Members and the Fon Visitors can connect to the Fon Network through any Fon Spot when these are available. To connect to the Fon Network, you will have to select a Fon Spot, and through the Fon Website or Fon Access Portal, introduce your username and password. Fon will validate the data introduced by you and, subject to this Agreement, will permit you to connect to the Fon Spot. Fon will notify you of any updates to the Fon Software whenever there is a new available version. How can you become a Fon Member? You can become a Fon Member by accepting this Agreement and owning a Fon Router, or a router of a Fon Partner, with the Fon functionality installed. If you do not have a router compatible with the Fon Software you may purchase a Fon Router through the Fon Website. Once you have registered with the Fon Network as a Fon Member and accepted the Agreement, you may download, install, and use Fon Software. You agree to install Fon Software following the instructions provided in our manual published in our website. You accept and agree that Fon is not responsible for any failure or damage arising from the incorrect installation of Fon Software. The Fon Spot will be active and fully operational once the Fon Software or the Fon Router has been correctly installed and you have been registered. Fon may publish information about the location of any Fon Spot the Fon Member registers within the Fon Network while this Agreement is in force. This is essential for other users to access the Service. The Fon Visitor will be able to connect to the Fon Spots after registration to the Fon Network and payment of the Fon Pass as established in the Fon Visitor clause. If you register as a Fon Member you understand that as a result of connecting a Fon Router to the Fon Network and registering with Fon, you will create a Fon Spot. Other users will be entitled to access the internet through this Fon Spot. In return for your providing and maintaining this facility in accordance with these TOU, you will be entitled to access all Fon Spots.  If you register as a Fon Member via owning a Fon Router you may activate and link your account to a PayPal accountyou will be entitled to receive a revenue share of any connection purchased through your Fon Spot by any Fon Visitor, but you will not be able to connect to other Fon Spots. Please note that this option is not available for all countries. As a Fon Member you will not be able to connect simultaneously to several Fon Spots, but you will have the right to grant free access to your own Fon Spot to several users of your choice, the exact number of which shall be defined by Fon from time to time. As a Fon Member, you agree to keep the Fon Spot active during 24 hours 7 days a week in order for the other Fon Members and Fon Visitors to be able to connect thereto. In order to guarantee the correct functioning of the Fon Spots, the Fon Members shall exclusively use the official versions of the Fon Software. If you use the Fon Spot of a Fon Member to access the Internet, you agree not to use the Service to upload or download large files or make unfair use of the service in a manner that might cause impairment of the service for the Fon Spot owner or for the Fon Spot user. In order to become a Fon Visitor, you will need: to register with Fon, purchase a Fon Pass through the available means of payment or be granted with limited or unlimited access in virtue of a Fon promotion, or a specific agreement between Fon and a Third Party. The applicable rates are contained in the Fon Website and the Fon Access Portal. The Fon Visitor may obtain information on the applicable rates at any time through the Fon Website and the Fon Access Portal. These rates will include the relevant indirect taxes and any other charges where applicable and may vary from the country. The means of payment for accessing Fon Services that a Fon Visitor may choose from shall be listed on the Fon Website and they will be offered through the registration process. The Fon Visitor will pay Fon the corresponding amount for each Fon Pass. Fon reserves the right to change, at any time, the prices, promotions, and/or discounts for the products and services that Fon provides. By continuing to use the Fon Service after the price change takes effect, you accept the new price. All Fon Visitors are subject to the same obligations as the Fon Members where applicable. Fon will provide and control access to Fon Spots, authenticating and validating all Fon Members and Fon Visitors who connect through the Fon Spots. Fon will register the number of users that access each Fon Spot and the type of user that has accessed each Fon Spot. Fon agrees to pay the corresponding quantities to the Fon Members that activated and link their account to PayPal, where this option is permitted. Fon is unable to provide any warranties as to the levels of connectivity you will receive via your mobile, device or handset. This may depend upon your location related to a Fon Spot. Connectivity fail to access may depend on your contract with a Fon Partner providing you limited access to the Network. Fon reserves the rights to suspend or revoke a Fon account should fraudulent misusage be detected. Fon shall guarantee that the authentication services it provides shall be available 80% during any 24 hour period. You are unable to connect or experience loss of connection to the Fon Hotspot due to service impairments on the network. A refund or replacement Pass may also be offered by Fon if the Service has been interrupted by unexpected technical problems. The refund or replacement in all of the above cases will be at the discretion of Fon and Fon will decide based on connection records, acting reasonably, the amount of the refund or whether a replacement Pass is appropriate in the circumstances. Refunds or a replacement Pass cannot be claimed by you if the lack of connection to the Internet is due to a fault with your device or incorrect configuration of that device. 1-hour: This pass provides you an access to the network for up to 60 minutes. This Pass will expire 60 minutes after you activated it in the Access Portal. If you have time remaining from such pass, it will be credited to your account and won’t expire until you decide to use it. 1-day: This pass provides you an access to the network for up to 24 hours. This Pass will expire 24 hours after you activated it in the Access Portal. If you have time remaining from such pass, it will be credited to your account and won’t expire until you decide to use it. 5-day: This is a bundle of five one-day passes that can be used to access the network. The first one-day pass will expire 24 hours after you activated it in the Access Portal. The four remaining one-day passes will be credited to your account for future connections. If you have time remaining from such pass, all five one-day passes will be credited to your account and won’t expire until you decide to use them. 1-month: This pass provides you an access to the network for up to 30 days. This Pass will expire 30 days after you activated it in the Access Portal. If you have time remaining from such pass, it will be credited to your account and won’t expire until you decide to use it. Fon may still consider the validity of refund claims up to a period of thirty (30) days after the Pass has been activated in the Access Portal, in case of a multiple day-pass the last day Pass has been activated. If you claim after this period, Fon may elect in its sole discretion, refunds with a courtesy Pass. Once the refund has been approved, you will receive your refund via the same means used to make your purchase, or via PayPal, at Fon’s discretion. Please contact the Fon Customer Care Team with any questions or concerns creating a support ticket from our Online End User Help Center. Any Fon Member of Fon who has enabled the option (where such option is available) to offer a Fon Spot in exchange for compensation will receive from and Fon shall pay the Fon Member a percentage of the net revenue of any Fon Pass purchased through the Fon Member Fon Spot, excluding indirect taxes and any other charges where applicable. The Fon Member may obtain access to updated information on the applicable percentages of revenue sharing and any other rates through the Fon Website. These rates shall include the relevant indirect taxes and any other fees where applicable. Payments to the shall be settled once the amount due to the Fon Member has accumulated and reached the predefined amount for settling said payments as published on the Fon Website. Any claim related to Fon Services should be addressed to the Customer Care Service, in written form, within a monthof the date that the Fon user has become aware of the issue relating to the claim. The acceptance or rejection of the claim will be communicated to you within a month after its reception by Fon. To preserve the uniform quality of Fon Services, you must use only the official versions of the Fon Software to provide access to our Fon Service. You accept that Fon and the Fon symbol, logos and graphics are trademarks of Fon and that Fon rights to this property are protected by law. You will immediately stop using the symbol, logos, and graphics when the Agreement is terminated. You accept that the Hardware, Software, and Fon Service is protected by intellectual and industrial property laws and that Fon’s rights to this property are protected by law. You will observe the industrial and intellectual property rights, even after the termination of the Agreement. You agree that any services containing proprietary content, information, and material that is protected by applicable intellectual property and other laws, including but not limited to copyright, and that you will not use such proprietary content, information or materials in any way whatsoever except for permitted use of the Services. You recognise and accept that all the intellectual and industrial property rights, the Service, the content and/or whatever other element inserted in the Fon Website and Fon Portal (including, purely for information purposes and without limitation, brands, logotypes, texts, images, graphics, etc.) are protected by the applicable law. It is strictly forbidden to reproduce, distribute, publicly communicate, transfer, or whatever other act of exploitation that has not been expressly authorised by the holder of the operating rights. No portion of the Services may be reproduced in any form or by any means. You agree not to modify, rent, lease, loan, sell, distribute, assign, copy, transfer, or transmit the Software, or any data obtained through the Software, to any third party or create derivative works based on the Fon Services, in any manner, and you shall not exploit the Fon Services in any unauthorised way whatsoever, including but not limited to, by trespass or burdening network capacity. You further agree not to use the Services in any manner to harass, abuse, stalk, threaten, defame, or otherwise infringe or violate the rights of any other party, and that Fon is not in any way responsible for any such use by you, nor for any harassing, threatening, defamatory, offensive, or illegal messages or transmissions that you may receive as a result of using any of the Fon Services. You agree that you will use the Fon Software and Trademark, and any data accessed through the Software, for your own personal non-commercial use only. Your license to use the Software, its components, and any third-party data, will terminate if you violate these restrictions. If your license terminates, you agree to cease any and all use of the Software, its components, and any third-party data. All rights in any third-party data, any third-party software, and any third-party data servers, including all ownership rights, are reserved and remain with the respective third parties. You agree that these third parties may enforce their rights under this Agreement against you directly in their own name. Access to the Fon Website is open and free of charge. Nevertheless, some of the services and content that Fon or third parties offer on this website may be subject to prior agreement or further agreements between Fon and its Partners. Contents of the Fon Website are strictly for consumers. Any unauthorised commercial use or resale of the contents is prohibited, except with the prior, written and express authorisation of Fon. Access, browsing, and use of the Fon Website are the responsibility of the user. Consequently, the user must diligently and faithfully observe all additional instructions given by Fon relating to the use of the website and its contents. Any use of the content and, in particular, the information of any class found in this page or from the Fon services for the purpose of sending advertisements, direct sales communications, or any other class with a commercial purpose, unsolicited messages or spam, as well as marketing or divulging any of the aforementioned information. Fon offers content and services using all of the technical means that it has available to satisfy the needs of its users. Fon will, as it deems necessary, make any changes, corrections, improvements or modifications to any information found on the Fon Website, to the services, or in the content without granting any right to claim or indemnification, or recognition of liability whatsoever. Fon does not assume liability for any damage, injury, or loss of any kind as a result of the Fon Website’s availability or operations. Nevertheless, Fon shall take all necessary actions to reestablish its services in the event of any technical failure. Either Fon or you may decide to end this Agreement at any time. If you wish to end this Agreement, you may do so by completing the following contact form fifteen (15) days in advance to effective termination of the Service. Fon may terminate this Agreement at any time, for any reason, including but not limited to violation or evidence of violation of any of the terms and conditions herein. Furthermore, Fon may suspend or revoke access if Fon believes the Fon Member is in violation of the obligations or the spirit of these TOU. If Fon wishes to end this Agreement, Fon will inform you by email at the email address you have registered with Fon. This Agreement will end immediately upon either party termination. However, Fon will continue to keep all your personal information confidential and you will continue to accept and respect Fon’s intellectual property rights. Fon may decide to change this Agreement at any time. We expect that changes will be necessary as new features are added, and as characteristics and specifications are added to the Hardware, Software, and Service. We shall communicate any change to these T&Cs one month before any such changes enter into force. If you are unhappy with these changes, or if you feel these changes will affect you in a negative way, you are free to end this Agreement. Fon may terminate, suspend, or interrupt at any time without prior notice access to the contents of the Fon Website. The users shall have no right to indemnification for such. Fon shall be able to transfer or assign its position under this Agreement to any another entity of its group. The transferee shall therefore subrogate in all rights and obligations of Fon under this Agreement. You accept any of the said transfers and assignments. Fon does not exclude or limit its liability in respect of (a) its wilful default or fraud; or (b) death or personal injury. If any provision of this Agreement is held invalid, illegal or unenforceable for any reason by any court of competent jurisdiction, such provision shall be severed and the remainder of its provisions will continue in full force and effect as if this Agreement had been executed with the invalid, illegal, or unenforceable provision omitted. Fon Access Portal (or Fon Portal) is the portal used by Fon in Fon Spots through which a Fon Member or Fon Visitor can register and access the Fon Network. Fon Pass(es) or Pass (es): Ticket that is purchased by a Fon Visitor in order to be able to access a Fon Spot. Fon Router is the device distributed by Fon or its Partners and enabled with the Fon Software. Fonera, Fonera SIMPL, or Fonera for small business are brands of Fon Routers. Fon Services or Services are the services provided by Fon that consist of providing access to the Fon Network, providing information about the location of the Fon Spot, authenticating and registering the Fon Members and Fon Visitors, and any additional service that Fon offers to the Fon Partner or the Fon Member. Fon Software or Software: Software distributed by Fon or installed into the router of a Fon Partner that enables Fon Members to access the Fon Network. Fon Spot means a public WLAN access point that belong to the Fon Network and that is operated by Fon, customers of Fon, or Fon Partners.